NAMSAI, Feb 1: The All Tai Khampti Singpho Students’ Union (ATKSSU) and the Namsai District Students’ Union took out a protest rally here on Friday, demanding that the state government come up with an alternative measure to solve the PRC issue – a solution which they said should not endanger the rights of the indigenous populace. “We along with all village level organizations were from the very beginning never in favour of granting PRCs to the non-APST populace. It is our concern that PRCs once granted to non-APST population would jeopardize the existence of the indigenous tribal population of the state. However, to those of Lekang and other areas who are demanding PRCs, we would like to clarify that we are not against them. They have been seeking their identity and basic requirements, which we respect, but we as indigenous people will have to also protect our legitimate rights at any cost,” said ATKSSU general secretary Chow Miling Khangkio during the rally. He also appealed to the people not to give the issue a communal colour. 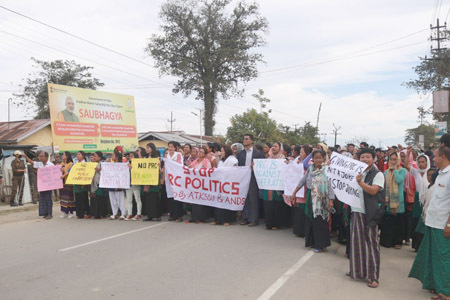 The ATKSSU general secretary said the frequent bandh calls and economic blockades have been the cause of unnecessary harassment to the people, especially those residing in the eastern part of the state, and appealed to the state government to come up with an appropriate alternative solution regarding the PRC issue, keeping in mind the interests of the indigenous communities. 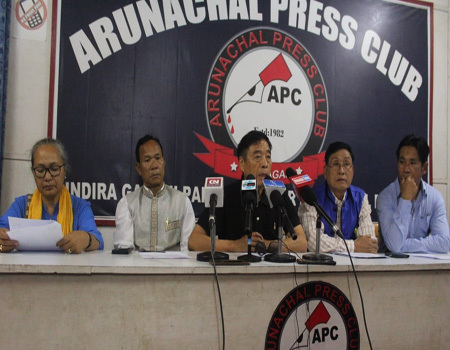 The union also demanded that the state government take strict action against the Namsai district administration for its failure to prevent frequent bandhs and economic blockades which result in suffering and harassment to the general public. 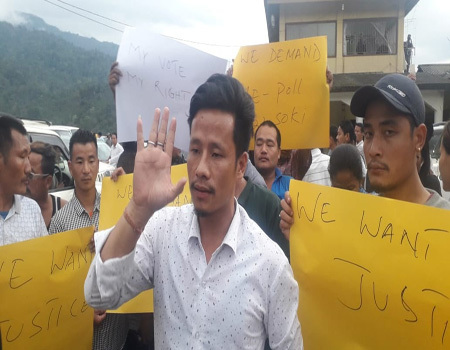 Meanwhile, the chief minister’s advisor, Tai Tagak, who met the agitating organizations on Thursday, said the meeting was peaceful, and gave assurance that the state government would do everything in its power to bring a proper solution to the issue. “The agitating organizations gave us their views and appealed to us to address the issue at the earliest. The state government on its part will do everything to solve the issue while keeping in mind the interests of the people of the state,” Tagak said.